A fully restored authentic Victorian Carpenter Gothic house located in Point Chautauqua, a community on beautiful Lake Chautauqua, New York. A perfect oasis for couples or families wanting to escape and unwind. 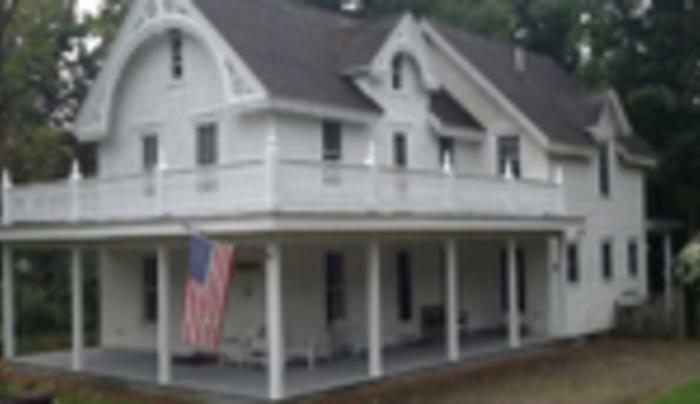 The house has porches and gardens on three sides for outdoor dining and relaxation and comfortable indoor rooms. Tottering sleeps 8 and is furnished with linens and towels. This is a NO SMOKING/NO PETS house.